Families and outdoor enthusiasts will find no better way to experience nature and proximity to adventure than by staying in an RV, travel trailer, or tent in one of the nearby McCall Idaho Campgrounds. In addition to nearby National Forest and primitive wilderness campsites, you'll find that McCall Idaho Camping is easy at these RV parks and private campgrounds. Enjoy amenities like electric hook-ups, showers, laundry, sewage dumps, great location, and much more on these well kept properties in McCall ID. Travel around McCall, the nearby Parks and by-ways in your own RV! 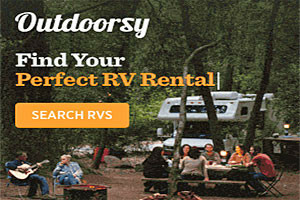 Rent locally-owned affordable RVs, campers and trailers, perfect for your next adventure! An RV Park on the river with pull-through and tent sites. Also rustic camping cabins available. Lots of activities, horseshoe pits, basketball court. At this secluded spot, you'll find an ideal retreat for church and family groups, schools and business meetings. RV sites, indoor and outdoor meeting areas. At this Christian recreational facility, outdoor activities couldn't be better! Located in McCall, Idaho with two lodges and rustic cabins in a forest setting. A retreat offering summer camps for kids in an idyllic setting. Bible study, worship time and plenty of outdoor recreation, including Frisbee golf, river floating. Camp with your RV along the Little Salmon River, surrounded by mountains. Laundry, showers, game tables in recreation room, piano and much more. The ideal RV Park for your base during your Idaho vacation. Clubhouse, laundry, restrooms, pool, spa. Quiet and peaceful with lots of outdoor recreation nearby. Full-hookup RV Park and shady campground. Bathrooms with showers, brick patios, free WiFi, covered picnic area. The gateway to Hells Canyon and whitewater rafting, hiking. This United Church of Christ lodge on Payette Lake offers so much water recreation and winter sports. Everything is right outside your door. Pinehurst Resort offers beautiful Cabins & RV or tent sites just 12 miles south of Riggins. Nestled on the Little Salmon River, enjoy the sights, fishing and hunting! An RV Park on the river, with full hook-ups, cable TV, all in a beautiful park-like setting. The ideal spot to explore, fish, raft, hunt. Campground open May through September. Sites are first come - first serve. Hot showers available and kitchen and recreation hall are available to rent for groups. Relax and rejuvenate on the banks of Lake Cascade. The central Idaho mountains surround you in natural beauty. Boat ramp, recreation hall. Lying at the North Fork of the Payette River, find a year-round camp and conference center with lodges, dorms and cottages, RV and tent areas. Experience the fresh air at this wonderful RV resort in the Idaho mountains. Right on the Payette River so you can enjoy canoeing, kayaking, fishing.